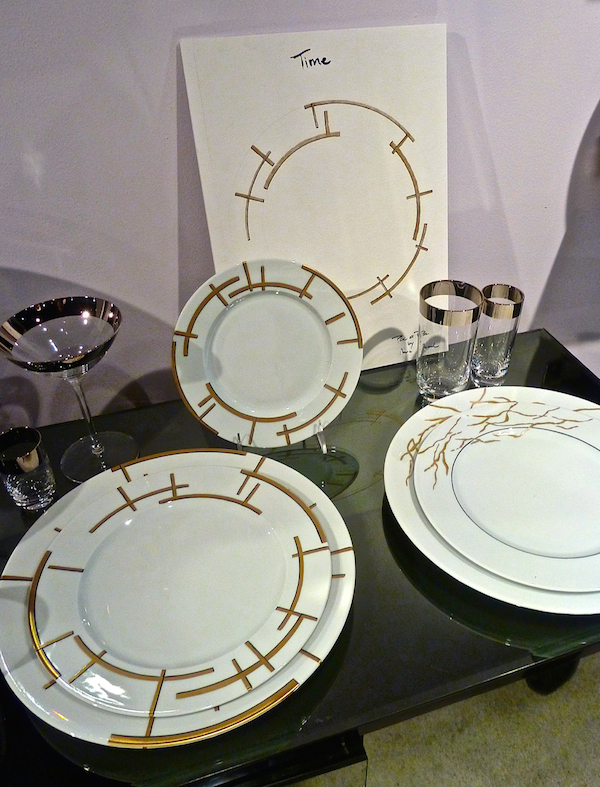 Just as we saw the warmth of golden hues at High Point, gold at tabletop market was a continuing theme as well. 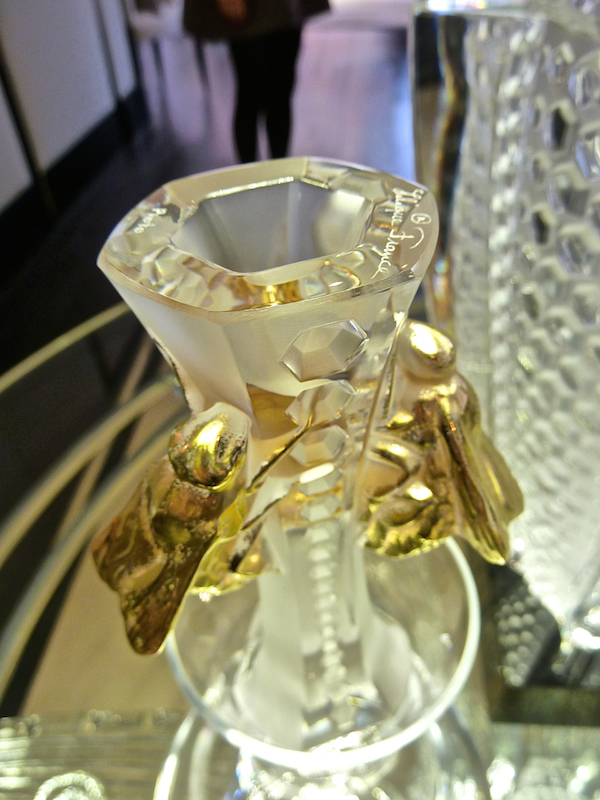 At Lalique, their new Provence collection and limited edition Rayons, romance symbols of nature including wheat, bees and honeycombs. 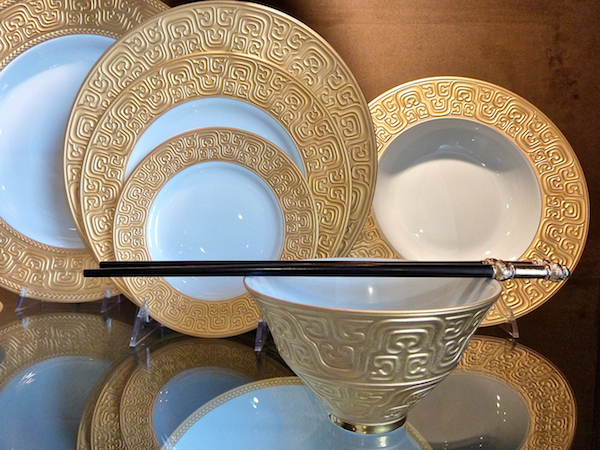 Expressing the abundance and richness of these natural resources, the use of gold leaf enhances many of the pieces. 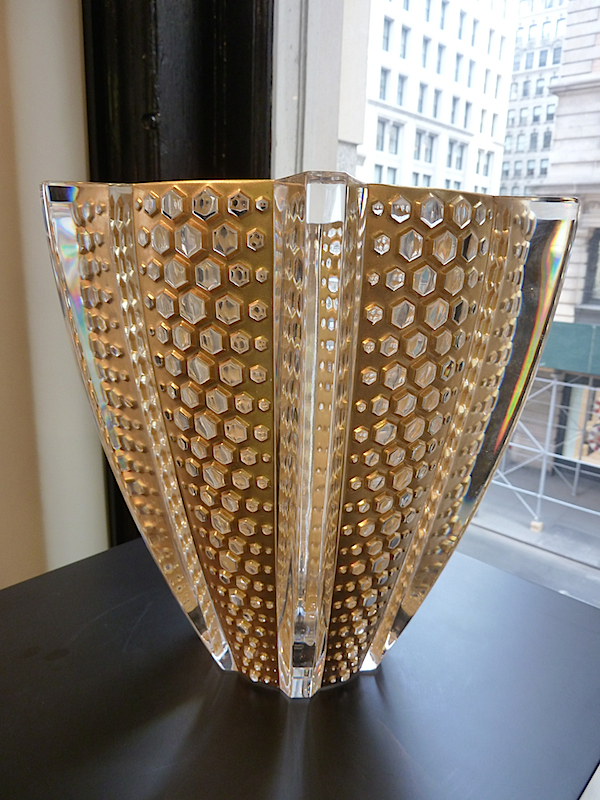 The timeless appeal of the honeycomb pattern can be seen in the stunning Rayons vases and bowls. 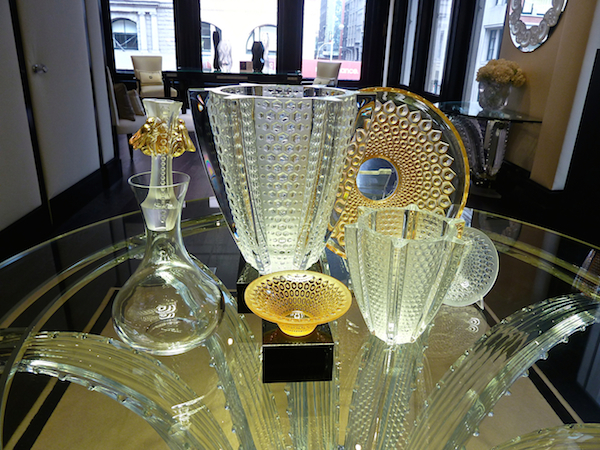 Whether in clear crystal or the honey-like gold luster versions, the graphic quality of the pattern paired with Lalique’s signature satin and clear carving results in pieces of sculptural significance. 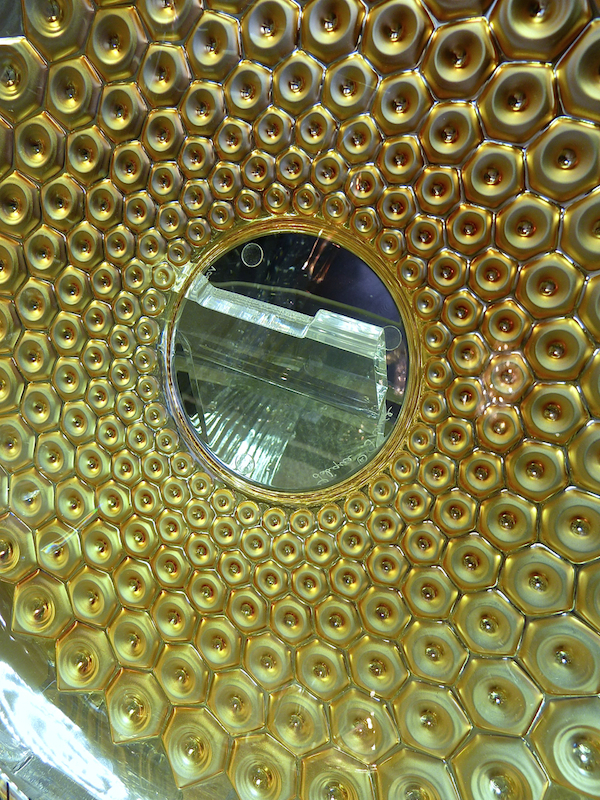 The gold leafing, on the vase above and coupe below, is hand applied by craftsmen at the Ateliers Gohard, who have been responsible for restoring the gilding at Versailles, the Invalides in Paris, the flame of the Statue of Liberty and many other works of art, furniture and moments. The Abeilles decanter, seen at top and below, has a hand blown body and hand carved stopper, below, with gold stamped bees, a classic French motif symbolizing order and immortality. Each piece is individually signed. The Provence vase features the iconic essence of the region, lavender, often referred to as “blue gold.” Here it is highlighted with hand-applied gold enamel. 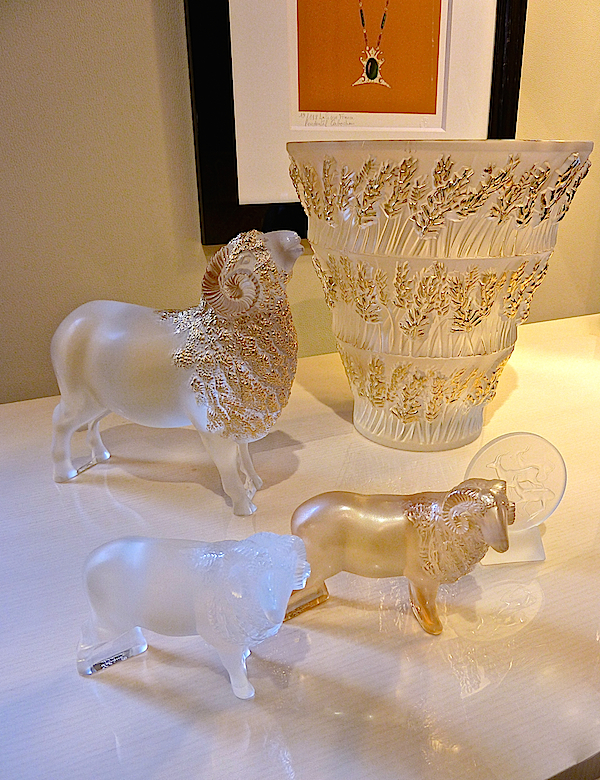 And while I am not normally a figurine fan, these rams, in honor of the year of the ram in 2015, are particularly charming, available in clear or gold lustre crystal. 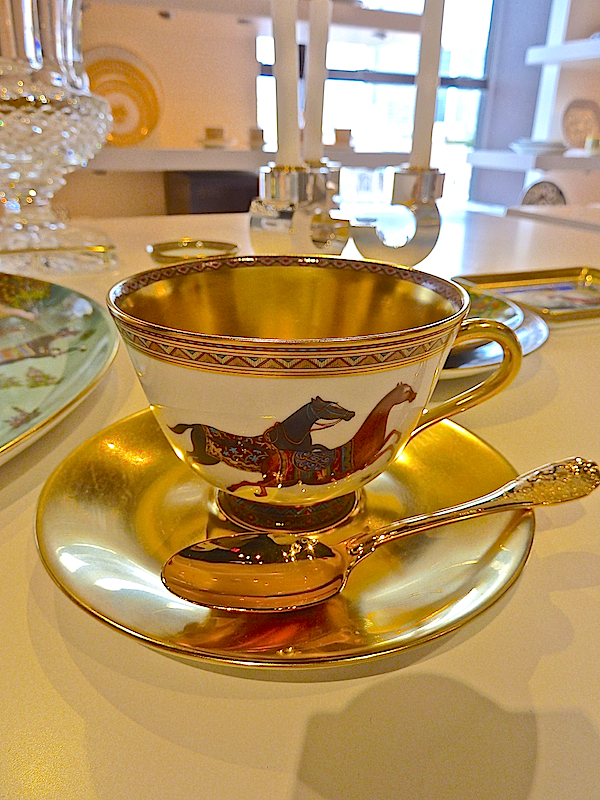 Hermès revived its classic Cheval d’Orient in several iterations including this luxurious gold clad teacup. 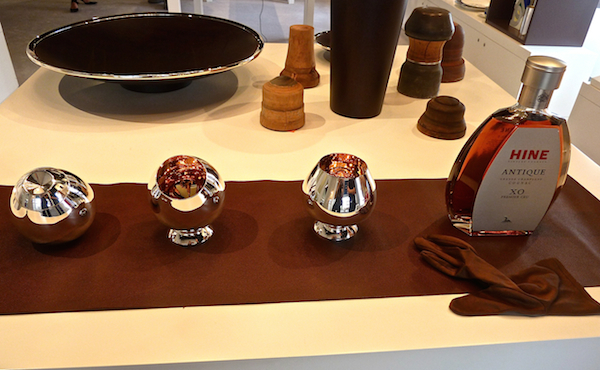 And sister company Puiforcat introduced gold lined cognac beakers in a chic convertible style, with an accessory piece that can serve as stand or cover. 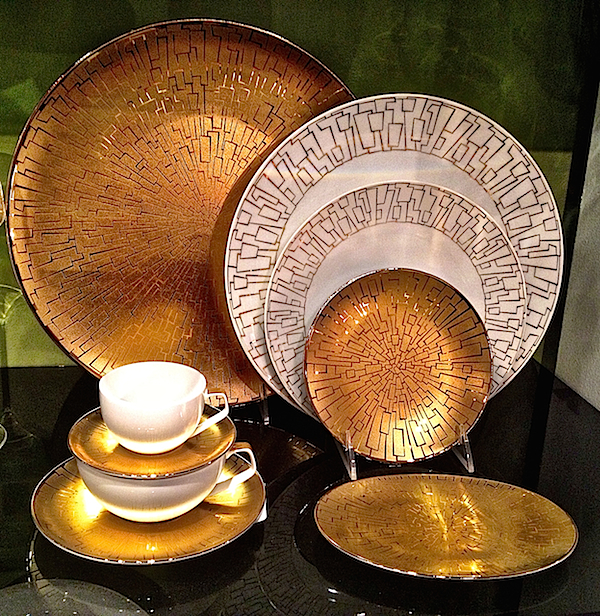 It’s l’Objet‘s 10th anniversary and to celebrate the occasion they have brought out two new collections. Sous le Ciel, inspired by the Han Dynasty, is an elegant pattern which, while referencing ancient Asian symbols yet still feels modern. or the more delicate and understated narrow rim. The newest collection, Sous la Lune, looks upwards to celebrate the wonder of the night sky. The rich blue of the Mediterranean skies gave inspiration to the depth of color and variation in the gold enhanced pattern. 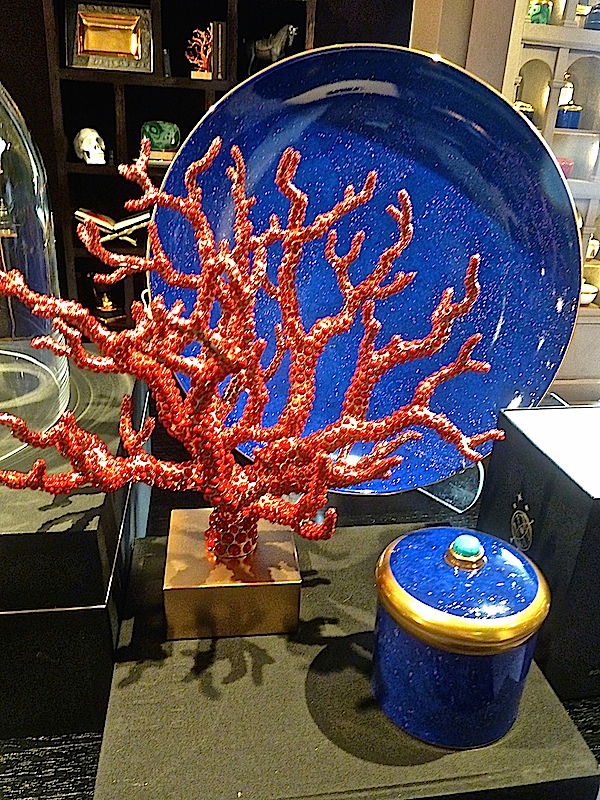 And the coral centerpiece in gold encrusted with coral celebrates the natural world with a luxurious twist. 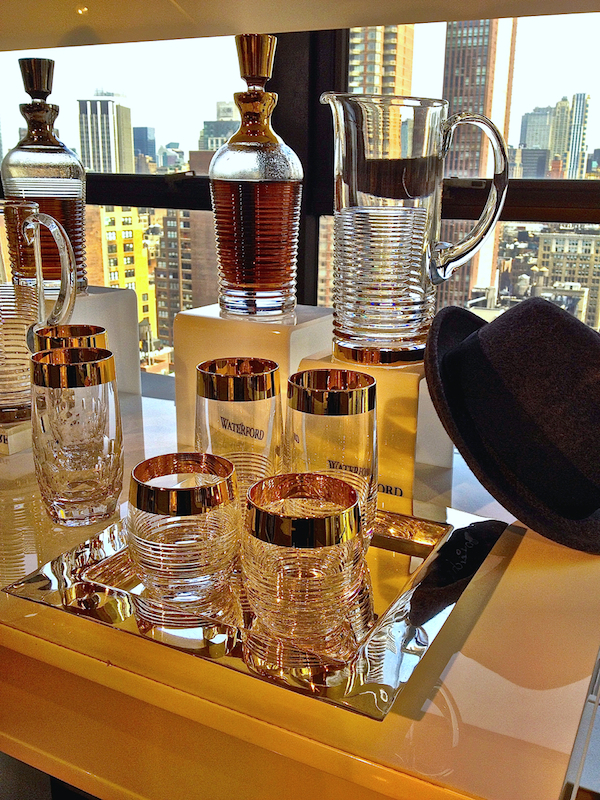 To its very popular Mixology collection, Waterford has added a special barware series honoring the style excellence and authenticity of Mad Men. The retro chic edition, with its heft and deep etching, is available in both gold and platinum. 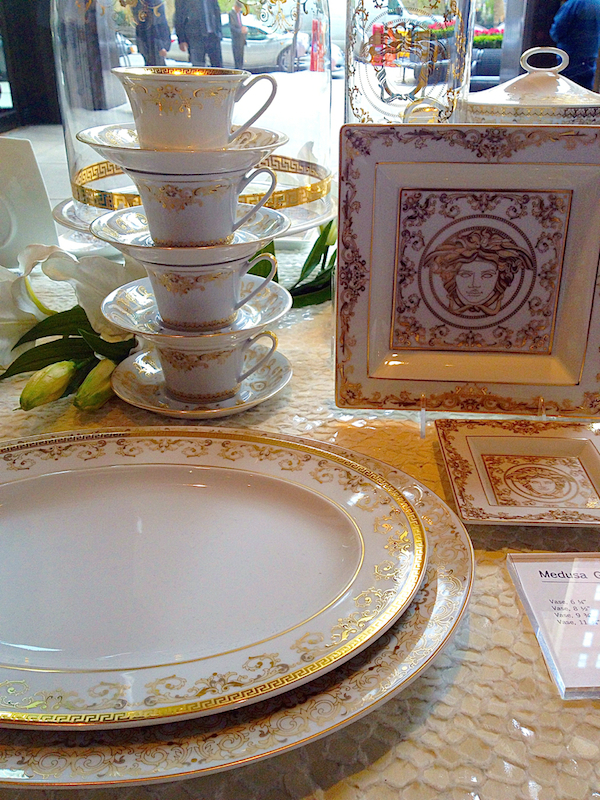 At Rosenthal, Versace introduced Medusa Gold, based on the rococo flourishes of their iconic logo. And their most popoular bridal pattern, TAC, designed by the influential German architect Walter Gropius, is now available in gold. 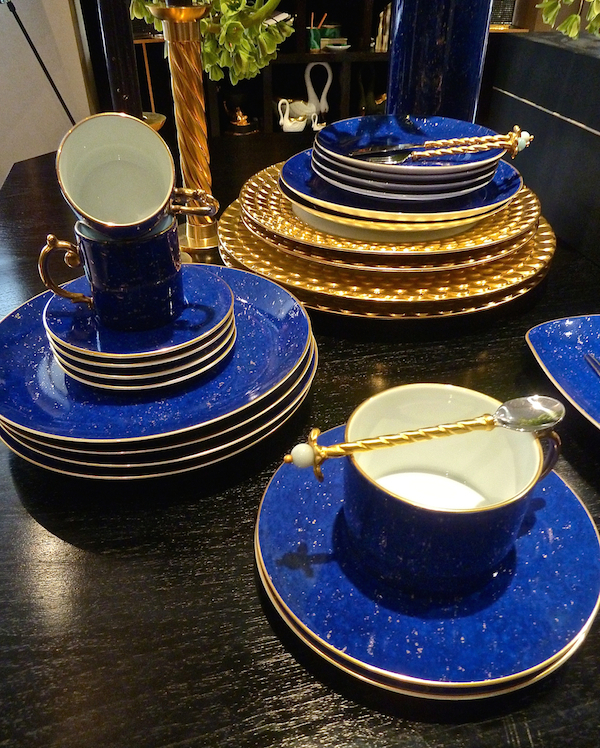 Fully glazed with a polished gold hand painted coating, Hering Berlin‘s Polite Gold espresso set would be a jewel-like addition to any table. 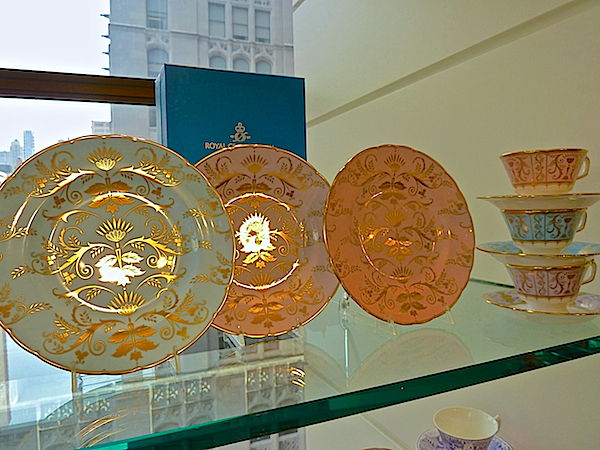 We’ll be looking at their amazing porcelain collection soon. 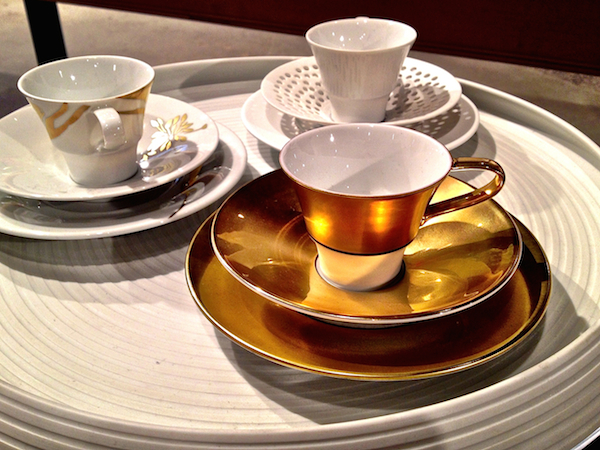 Sieger by Furstenberg introduced the minimalist yet opulent black and white pattern, Ca’ d’Oro. 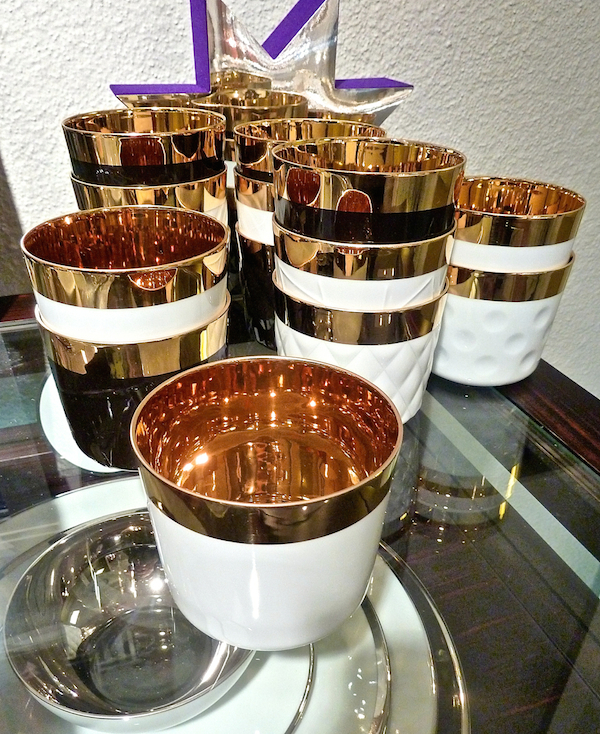 These gold lined porcelain champagne beakers meld a new take on tradition with the elegance of wafer thin porcelain and fine craftsmanship. and the exotic influenced Bristol Belle. Stop back next time as we continue to look at new offerings from tabletop market and the fabulous rooms from Design on a Dime. This entry posted in gifts, interior design. 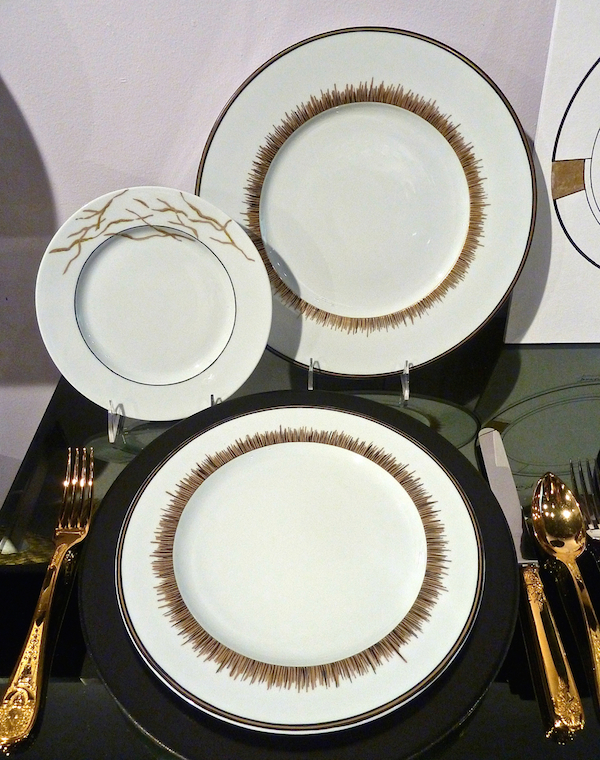 Entry Tags: design trends 2014, interior design, Tabletop, tabletop market Bookmark the permalink. 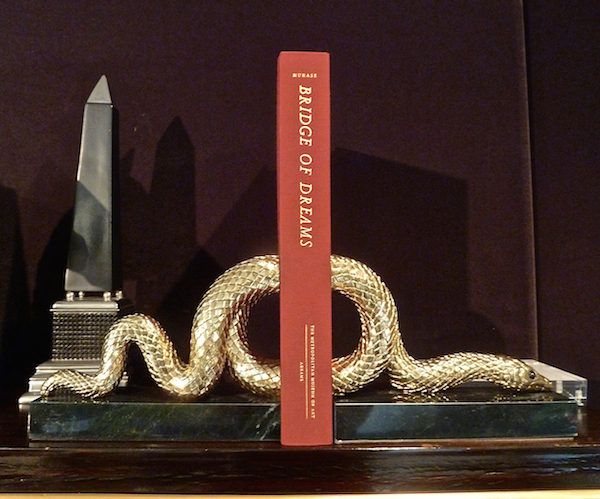 I am a big fan of l’Objet and love these new pieces – the blue is very dramatic. Ok, seriously speechless. I can’t choose here, but I could break the bank with a few of these pieces. 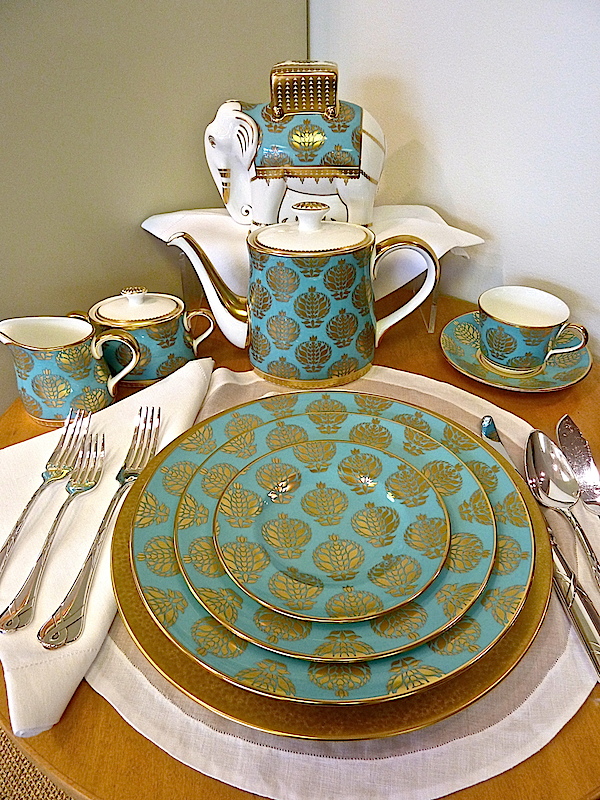 Oh the Provence collection, to die for! The rams are stunning! Thank you for sharing! The addition of metallics to any decor is marvelous. 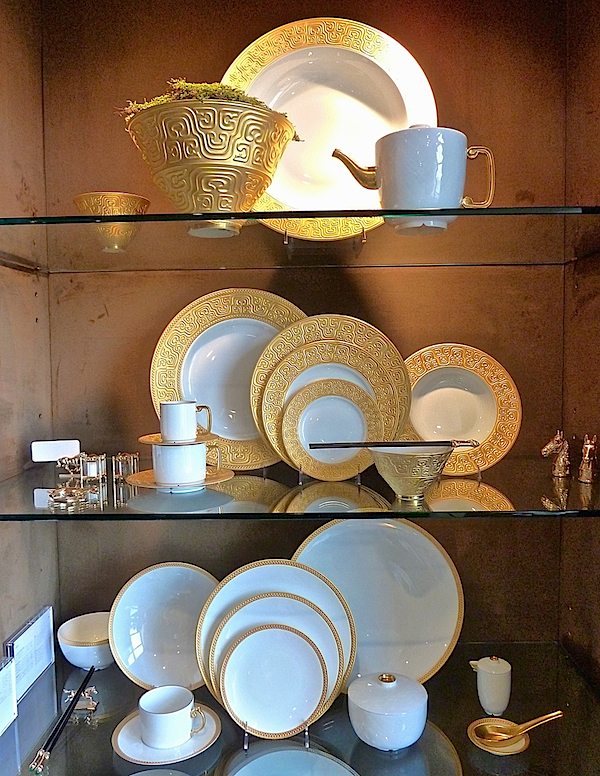 Gold especially brings elegance and panache to the table! 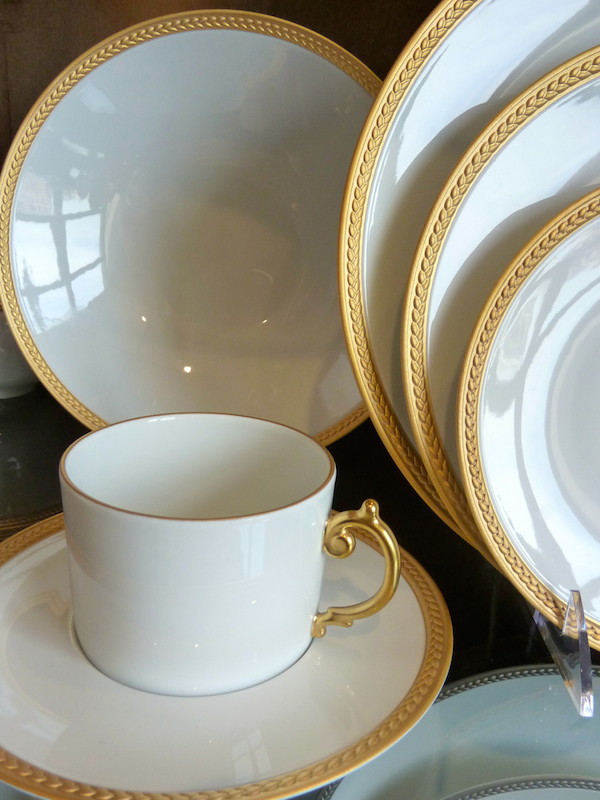 Stacey, there so many gorgeous and artfully designed china and accessories. 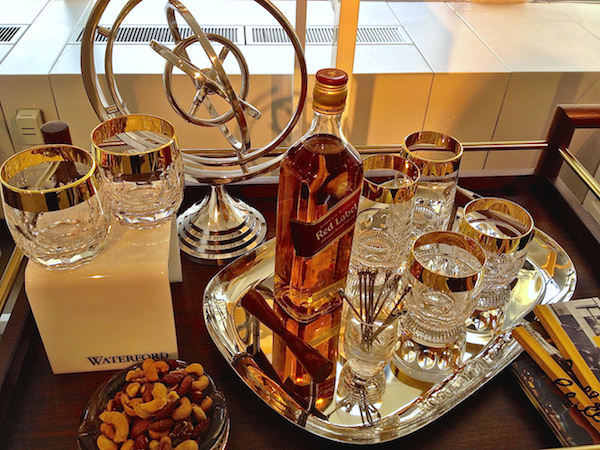 The gold standard for sure! Adore Bristol Belle! 78 queries in 0.411 seconds.